On 22 July 2016 the foundation for a modern wax production plant was laid at Webau, Saxony-Anhalt. Mitteldeutsches Paraffinwerk Webau GmbH (MPW) who, after years of research, developed a cutting-edge process for the production of waxes from plastic materials, entrusted Pörner Ingenieurgesellschaft in Grimma with the engineering and project execution. 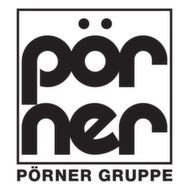 The Pörner Group was also strongly involved in the development of the process. 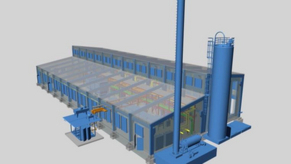 The project team, comprising of Mitteldeutsches Paraffinwerk Webau GmbH and Pörner Ingenieurgesellschaft mbH Grimma, plans to complete the wax plant within the traditional production sites at Köpsen near Webau still within 2016 – the decision for the ambitious project was made in autumn 2015. The newly developed and future-oriented CATPOL process will be employed, by which various fully synthetic waxes are produced from polyethylene and polypropylene by way of depolymerisation. Waxes are used, for example, as substrate material for paints (car paints) or as coating for food packaging. Currently, the first line of the production plant is under construction. The plant capacity will be 500 kg wax per hour. In a 3-shift operation a planned 3,500 tons can be produced per year. MPW has invested around 6.2 million Euro in the historic production site of which 1.2 million Euro come as subsidy from the state government of Saxony-Anhalt. 15 jobs will be created. The laying of the ceremonial foundation stone on 22 July 2016 was attended by Prof. Dr. Willingmann, Undersecretary of State for Economics, Götz Ulrich, Head of the Burgenland District Authority and other representatives from local-level politics, business and research and Dipl. Ing. Peter Schlossnikel, CEO of the Pörner Group as well as Gerhard Bacher, Managing Director of Pörner Grimma who were warmly welcomed by the MPW Managing Director. On this occasion the commitment and persistence of the stakeholders involved were underlined, in particular Dr.-Ing. Bernd Schneider’s personal commitment which was, and still is, crucial for the project progress. The Pörner Group has been entrusted with the revision of the basic engineering including process and cost optimization, thus providing a major contribution to the process development. In addition the Pörner Group is in charge of the engineering services for public authorities which need to be complemented, the entire detail engineering including a 3D- plant model using Smart Plant, procurement on behalf of and on account of the customer, cost control and expediting and site management, as well as discipline-related supervision of construction followed by the commissioning of the plant. The project is expected to be completed by the end of 2016. Production is to start gradually in January 2017 and then ramped up to a multi-shift system. Teaming up with the Magdeburg Fraunhofer Institut, Hochschule Merseburg (University of Applied Sciences) and Martin-Luther-University Halle, the development of the new, now patentable, CATPOL process began in 2008. Feedstocks are polyethylene and polypropylene. Fully synthetic waxes are obtained by targeted depolymerisation. The plant has been designed so that a variety of wax products can be supplied. The company lab of Paraffinwerk has three test lines for depolymerisation and one test line each for oxidation and micronization of waxes. Besides the great number of own tests, test series were also conducted at pilot plant scales at several machine building companies. Three people worked constantly for this project and a total of 1 million Euro were spent for the process development. Now, the process is mature, patented and will be transferred to large-scale production. The modern wax plant breathes new life into a location that has a long industrial tradition. It feels like back in 1860 when the industrial utilization of soft coal began at Webau. This competence and knowledge that soon extended to the production of waxes grew and has remained in the region for decades. Waxes from Köpsen were exported to over 20 countries during GDR times. Mitteldeutsches Bitumenwerk (MBW) and the Pörner Group have been partners for over a decade. Back in 2004 Pörner realized for MBW a bitumen production plant at Webau. Since then the plant has been producing high-quality bitumen for road construction based on the Pörner Biturox® process. Building on the innovations and investments done and combined with the experience from the successful projects in the past, both parties are confidently able to cope with future challenges and celebrate the official opening of the plant in 2016.